Our posh Mitzie Mink Fur Cape is an excellent design for her who want to look effortlessly cool during the colder months of the year. 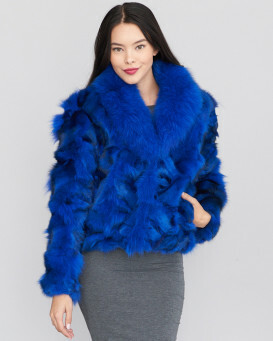 Genuine mink fur is constructed with layers of lush mink fur sewn on a comfortable knit backing. 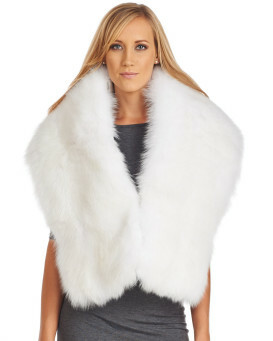 A full pelt mink fur collar features a magnetic closure at the neck for easy wear. The airy sleeves also feature interior buttons to tack closed. The lightweight appeal is one size fits all in a caped effect making a great gift for any special woman. Adornments include snap button closures and side pockets for a functional style.